Go to Apps > Xero and click on Connect your account. You'll be prompted to log in to Xero if you aren't already logged in. 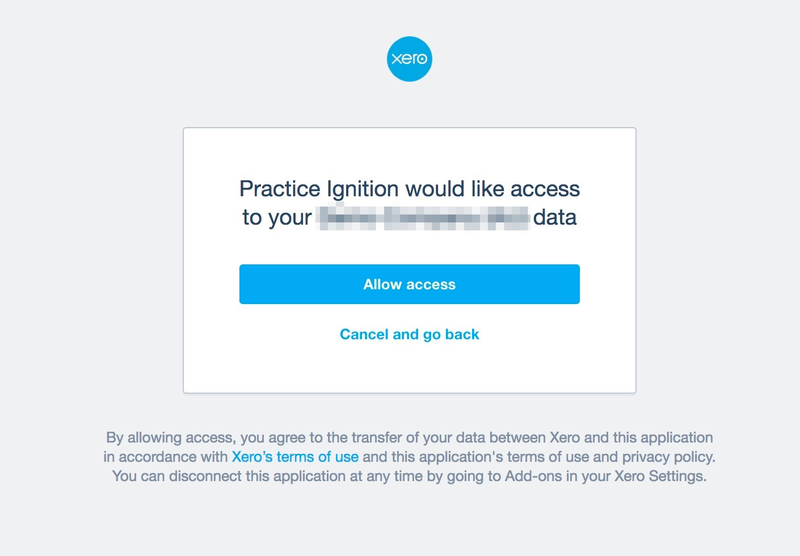 Once logged in, you will be prompted to authorize the connection between Practice Ignition and Xero. Please note that we do not integrate with Xero Cashbooks for personal use - we only integrate with the full Xero platform for businesses. Once you've authorized the connection, you will be redirected back to Practice Ignition. 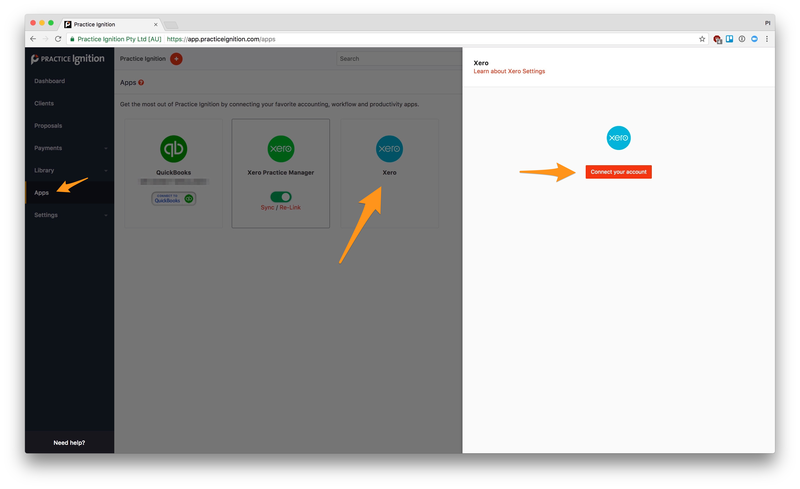 You need to set your App Settings before you can enable the integration. Read our article to know more about Xero Settings. Practice Ignition connects to a number of fields in Xero - most of them are the ones you can edit under the Xero settings mentioned above, and then there are the client names in Xero. If you make a change to any of the settings from within Xero, or change a client name and need to see it reflected in Practice Ignition straight away, you can click the Sync link next to the Xero toggle to refresh the data. We also refresh this data once a day at 12am. Please note, Practice Ignition does not do a 2 way sync of client information to Xero - it connects your Practice Ignition clients to Xero clients through Mapping. 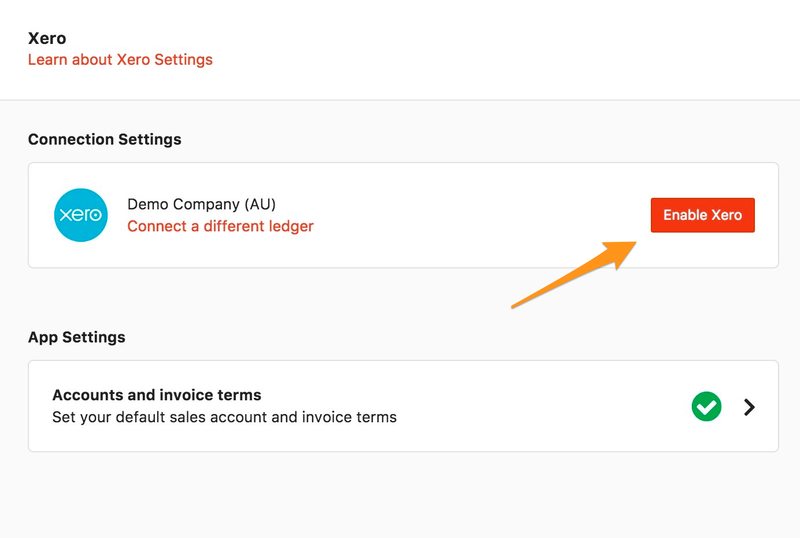 If you need to connect to another organization in Xero, or remove the connection, simply click the Disable Xero button and go through the steps in this article again to link them. Please note we do not currently support the use of multiple accounting platforms at once. If you have integrated with one platform, you must switch off that integration before connecting to a different platform.